Ballot Measure 22-165 is on the ballot for the May 15 election. Projects are planned for every school in the District. Necessary maintenance and upgrades that have exceeded routine maintenance expenditures, including replacement of roofs, windows, flooring, exterior siding, plumbing, electrical and mechanical systems, and Americans with Disabilities Act improvements. Energy improvements district-wide to improve cost efficiency and reduce ongoing maintenance costs, such as replacing old, inefficient high maintenance heating and ventilation systems and windows. 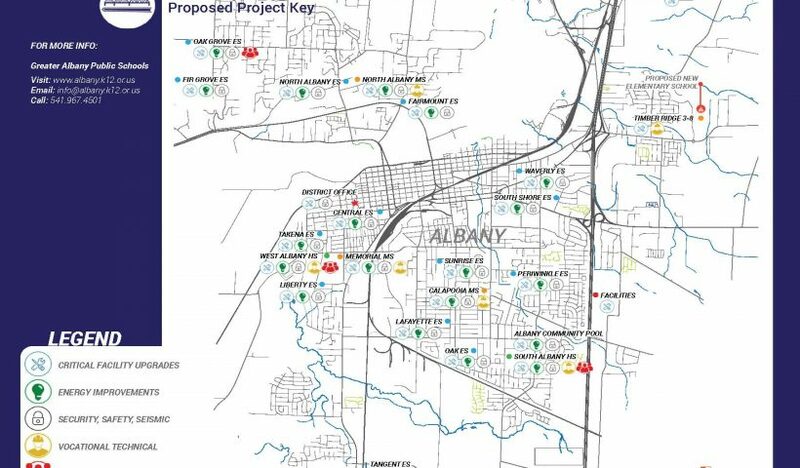 The upgrades are expected to save the District an estimated eight percent – or $80,000 in energy costs per year. Make safety and security upgrades where they are needed throughout the district such as automatic door locks, fire alarms and security cameras. Make seismic upgrades district-wide to enable buildings to better withstand a major earthquake. Renovate existing classroom space at all middle schools to offer new vocational/technical classes. 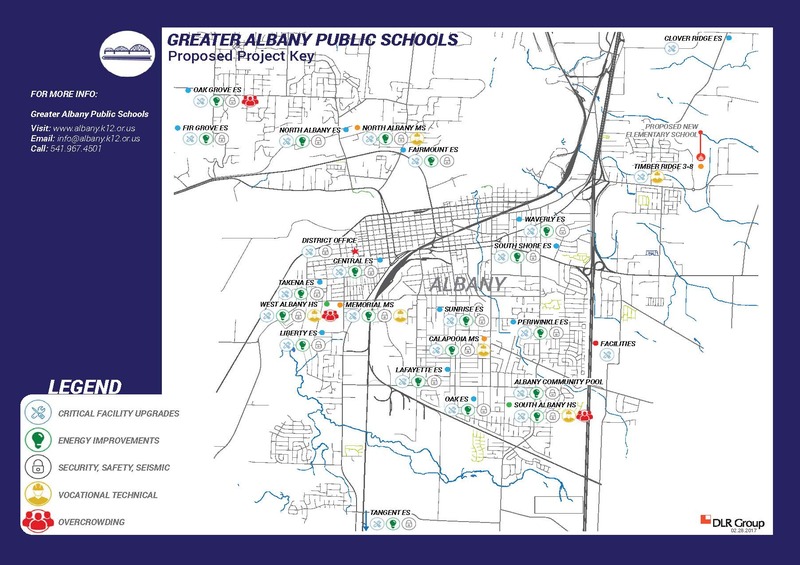 Renovate existing classrooms and and construct new vocational/technical classrooms, including a multipurpose classroom space/gym at South Albany High School. Complete the first phase of West Albany High School’s rebuild that would include new classrooms, commons and auditorium. Find more information on the bond informational page or ask your local school principal.